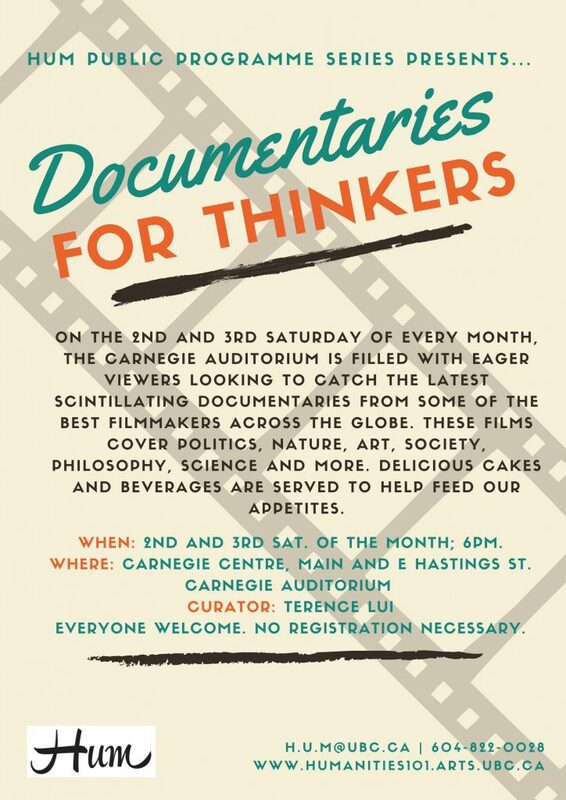 On the 2nd and 3rd Saturday of every month, the Carnegie Auditorium is filled with eager viewers looking to catch the latest scintillating documentaries from some of the best filmmakers across the globe. The documentaries chosen by curator Terence Lui relate directly to the content of the Hum101/201 course outline. These films cover politics, nature, art, society, philosophy, science and more. Delicious cakes and beverages are served to help feed our appetites. Check what’s on, here. The Real Story of Halloween (2010) – 42min. It is widely believed that many Halloween traditions originated from Celtic harvest festivals which may have pagan roots, particularly the Gaelic festival Samhain, and that this festival was Christianized as Halloween Day. But some academics, however, support the view that Halloween began independently as a solely Christian holiday. Therefore, you better come and discover for yourself, the entire history behind this day for breaking rules, pushing boundaries and wearing disguises – and more importantly, a time for us to deal with our own mortality. Fantastic Flesh The Art of Make-Up EFX (2008) -58min. From classic creatures to modern gore, special effects make-up has always been the dark heart of movie magic. In this Starz Inside documentary, meet the masters of the craft and discover its incredible history, complete with rare behind-the-scenes photos and footage, revealing interviews with Quentin Tarantino, George Romero, John Carpenter, and more. Plus clips from all the classic fright films past and present. (Warning: some scenes of violence and gore).